No mamby-pamby sourcebook, here. 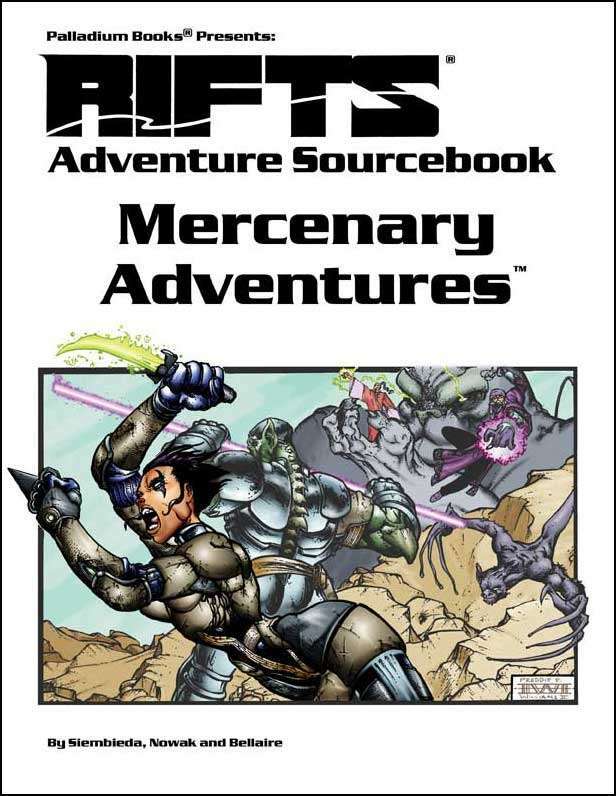 This is a rockin’ supplement with new, hard-as-nails mercenary O.C.C.s, a class of warrior-mage, new magic, and source material you will definitely want to add to your Rifts® campaign. Combat Mage O.C.C. and Combat Magic (new). Mercenary Boot Camp! Training, bonuses and adventure. Hook, Line and Sinker adventures based in and around MercTown. 64 pages written by Siembieda, Nowak, and Bellaire.